We’ve reached the 15-issue milestone! Who saw this one coming? To be honest, neither did we. Running an independent magazine is a full-time job and it’s not easy. Between having to compete with the huge corporate brands like People and Cosmopolitan, and having next to no operating budget without sponsors, most fizzle out after their 5th issue. Most indie magazines will also never sell enough issues to keep their heads afloat unless they push hard and find a way to produce a unique blend of content you can’t find anywhere else. 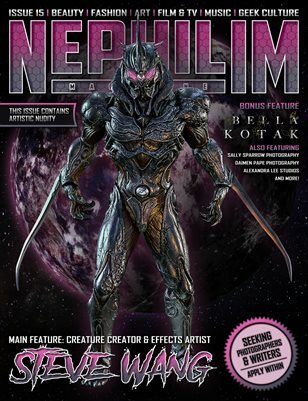 There are a few other open-genre magazines out there now which popped up after we came up with the ridiculously ingenious concept, but without our level of dedication and our special gift for locating amazing free resources as well as contributors, they’ll eventually fizzle out as well. Now, I’m pretty sure we’ll last.